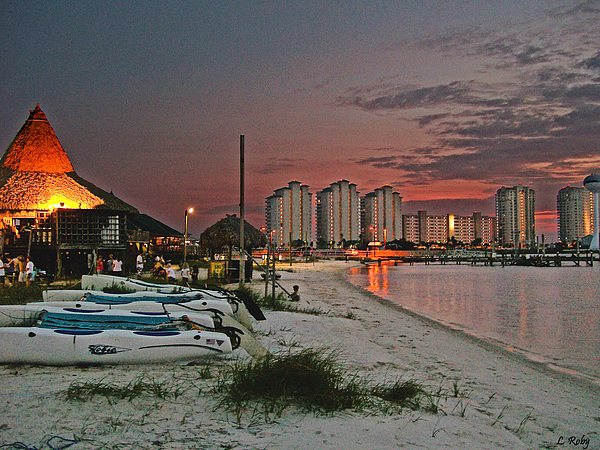 Navarre Beach Fl At Sunset is a photograph by Larry Roby which was uploaded on October 6th, 2010. Beach life at Navarre Beach Florida includes volleyball at Juanas Pagodas, sunset watching and no stress. Thanks Jane. Yes HDR, I play with blending layers and like to accentuate mundane colors. Wow, what a nice shot. HDR?